On February 10, 2018, King Willem-Alexander and Queen Maxima visited Gangneung Olympic Village in Pyeongchang-gun, South Korea. King Willem Alexander, Queen Maxima and Dutch Prime Minister Mark Rutte met with Olympics athletes. 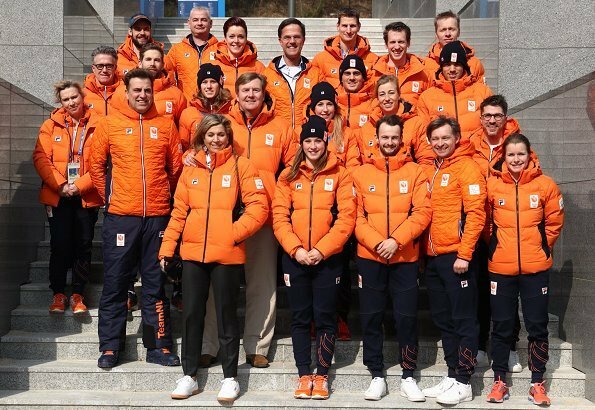 The Dutch Winter Olympic team aims to bring back at least 15 medals from Pyeongchang. I wish good luck to Team Netherland. ik ben heel trots op onze koning en koningin , ze doen het zo goed ,en heel gewoon . en daar hou ik van !!!! !